How can you study media without studying new media? We’ve had an ‘Applicant Day’ in my department today – and I discovered that some people studying a HND in Media were not covering new media. My reaction? Television production companies are now required to submit ‘360-degree’ programme pitches that include a new media element. Often the budget for that is bigger than for the programme. Add to that red-button interactivity, streaming, mobile TV, and DVDs. Photographers routinely package their work on CDROM, or sell it online. A web portfolio is essential. Public Relations employees are required to understand viral ‘word of mouth’ technologies like social networking, blogging, promotional games, websites, and email. Radio has been going digital for some time now. Most radio stations are streamed online. The music industry has been transformed by the web. Some pointers for you: Napster; Kazaa; iPod; iTunes; mp3; MySpace; Last.fm; Radiohead. And there’s journalism… well. Just read every post, ever, on this blog. Ever. What else did I say? Nag your tutors, and start swotting up in your spare time. Your college is doing you a disservice, but that shouldn’t stop you. 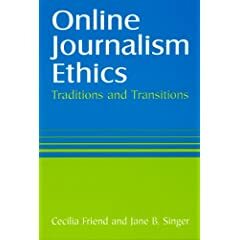 This entry was posted in blogging and tagged online journalism careers, online journalism education on October 31, 2007 by Paul Bradshaw. This entry was posted in online journalism and tagged citizen journalism, Donnacha Delong, NUJ, Roy Greenslade, Shane Richmond on October 31, 2007 by Paul Bradshaw. All quiet on the western front? Not quite. German regional publisher WAZ just launched its new flagship website, Der Westen. New features include geotagging, blogs and keyword filtering, monitored from a futuristic-looking newsroom. Martin Stabe has the details. The concept, writes Der Spiegel, is to let users choose the centre of their world, their perspective on news. Der Westen then provides content around it. This entry was posted in newspapers, online journalism and tagged canoe, community, der westen, future journalism, germany, Hyperlocal, innovation, maville, quebecor, segmentation, waz, website relaunch on October 30, 2007 by nicolaskb. I have been approached with the following question, which raises such a range of issues, and is so tough to answer, that I thought it best to open it up to you. The person has given permission for me to do this on condition of anonymity. Here’s the question – what would be your response? Suppose someone, in a vulnerable position, having little resources, knows something very very serious that happened some time ago. He has no evidence at all other than that he was there. This entry was posted in online journalism and tagged investigative journalism, libel, privacy on October 30, 2007 by Paul Bradshaw. 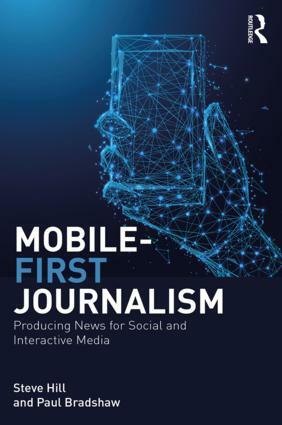 Part four of this draft book chapter looks at how blogs have changed the publishing of journalism through its possibilities for transparency, potential permanence over time, limitless space, and digital distribution systems (part one is here; part two here; part three here) . I would welcome any corrections, extra information or comments. Traditionally, news has always been subject to the pressures of time and space. 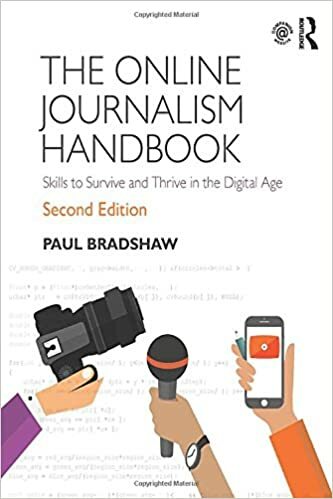 Today’s news is tomorrow’s proverbial ‘fish and chip paper’ – news is required to be ‘new’; stories “have a 24 hour audition on the news stage, and if they don’t catch fire in that 24 hours, there’s no second chance” (Rosen, 2004). At the same time, part of the craft of journalism in the 20th century has been the ability to distil a complex story into a particular word count or time slot, while a talent of editors is their judgement in allocating space based on the pressures of the day’s competing stories. This entry was posted in online journalism, twitter and tagged BAE, civil rights, comments, crowdsourcing, ethics, Firedoglake, flickr, Guardian, Habermas, Hurricane Katrina, interactivity, investigative journalism, online video, public sphere, RSS, Scooter trial, social networking, transparency, Trent Lott, twitter, Vaughan Smith, web 2.0, Wikileaks, wikis, youtube on October 30, 2007 by Paul Bradshaw.